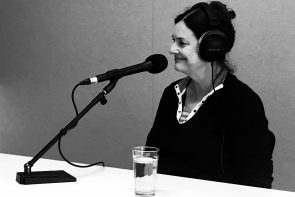 Reading Australia presents this Hannie Rayson podcast, with permission from The Garret Podcast. Hannie Rayson is one of Australia’s most recognised playwrights and screenwriters and has also worked as a freelance journalist and editor. She is the co-founder of the community theatre group, Theatreworks, and has been writer-in-residence at Geelong’s Mill Theatre, Playbox Theatre, La Trobe University (which has awarded her an Honorary Doctorate of Letters), and Monash University. She was the joint recipient of the Sidney Myer Performing Arts Award in 1996. Hannie is best known for Hotel Sorrento (1990), which was awarded the NSW Premier’s Literary Award in 1991. The film of the play, directed by Richard Franklin, won an AFI Award for best screenplay. In 2015, Rayson published a funny and candid memoir called Hello, Beautiful! For show notes and the transcript, please visit their website. Hannie Rayson has established a reputation for topical, complex dramas written with wit and humour. A graduate of Melbourne University and the Victorian College of the Arts, she has an Honorary Doctorate of Letters from La Trobe University and is a Fellow of the Australian Centre at the University of Melbourne. Her plays have been extensively performed around Australia and internationally. They include Please Return to Sender, Mary, Leave It Till Monday, Room to Move, Hotel Sorrento, Falling From Grace, Competitive Tenderness Life After George, Inheritance and Two Brothers. She has been awarded two Australian Writers’ Guild Awards, four Helpmann Awards, two NSW Premier’s Literary Awards and a Victorian Premier’s Literary Award as well as The Age Performing Arts Award. She also wrote Scenes from a Separation with Andrew Bovell. For television she has written Sloth (ABC, Seven Deadly Sins) and co-written two episodes of Sea Change (ABC/Artists Services). A feature film of Hotel Sorrento, produced in 1995, was nominated for ten Australian Film Institute Awards. In 1999 she received the Magazine Publishers’ Society of Australia’s Columnist of the Year Award for her regular contributions to HQ magazine. Hannie made playwriting history when Life After George was the first play to be nominated for the Miles Franklin Award. In 2006 she was nominated for the Melbourne Prize for Literature, a prize for a Victoria-based writer whose body of published or produced work has made an outstanding contribution to Australian literature and to cultural and intellectual life.